Get your sound just right with the help of FHM Audio Visual! 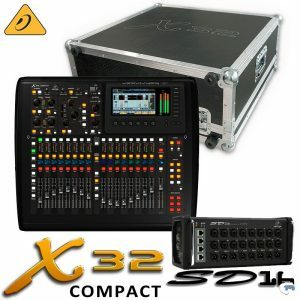 We our proud to offer a large selection digital consoles and analog audio mixers. 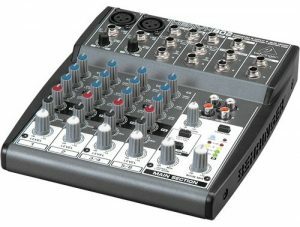 Whether your event is small or large, our professionals can help you find the audio mixing board or digital console that is perfect for your setting. 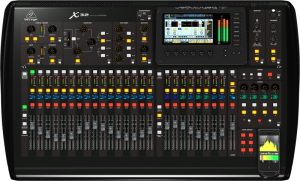 Mixing consoles allow you to connect audio sources like an and microphones (wired or wireless), Computers, iPhone or smartphone, tablet, musical instruments, etc. to a central device. 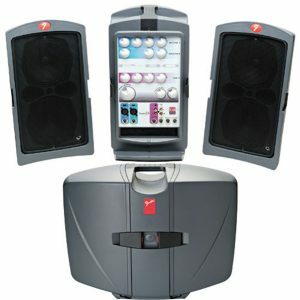 Now they can be mixed together – their volumes and signals balanced and equalized – and then sent to amplified speakers for the audience at your event. 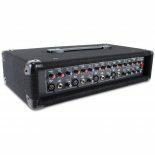 This type of equipment can be used in a variety of applications, like public announcement systems, bands, dance clubs, broadcasting, and recording studios. In addition, FHM A/V offers a variety of wired and wireless microphones, PA systems and speakers, lighting rentals, and video projector rentals for your next event .